Zelkova (Zelkova spp. ): growing, planting, caring. We love this relative of the elm for the quality of its foliage, and its wide and elegant shape. Scientific name : Zelkova spp. 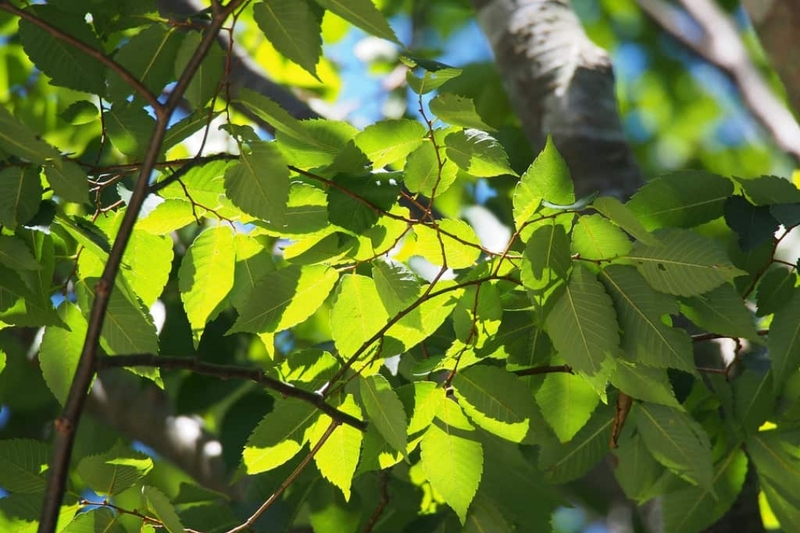 There are 6 species of Zelkova, all native to Asia, and Z.carpinifolia and Z. serrata are cultivated in Europe. We like its majestic habit with oval leaves resembling those of the elms. They grow a nice orange tint before falling. In spring it carries separate male and female flowers, in the form of a simple grouping of stamens or pistils without petals. The fruits bear a single core coated with dry flesh, faceted, the size of a raspberry. Zelkovas are trees of first magnitude, which can reach 35 meters in some species. Some dwarf cultivars of zelkova measure 1 to 5 meters. The leaves resemble those of elms, they are oval, oblong or elliptical, crenated or toothed - with rounded teeth -, alternate, slightly asymmetrical. They take a nice orange hue before falling. In spring, the tree has separate male and female flowers, in the form of a simple group of stamens or pistils without petals. The fruits have a single core coated with dry, faceted flesh, the size of a raspberry. Prune your zelkova with the intention of airing it, not shortening it. Once a year in February-March, eliminate dead branches, those that come back inwards and those that cross. Zelkovas are sensitive to Dutch elm disease that can cause damage, but their natural resistance allows them to survive. If you see traces of leaves gnawed between April and September, it is linked to the attack of a beetle, Galerucella luteola. This is serious only for young trees.